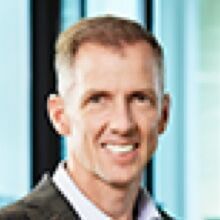 As a General Partner at ScaleUp Ventures, Kent Thexton is a dynamic investor and executive with global experience. His track record includes driving innovation at O2 to achieve the highest percent of revenue from Mobile Data in the world outside of Japan. With 25 years of experience in the global tech and telecom sectors, Kent has significant expertise as both an operator and founder, with extensive knowledge in the mobile and technology markets. He has played an integral role in growing, scaling and adding value to numerous companies which have successfully been acquired or attracted investment capital. Kent’s operational experience includes helping lead the demerger of mobile businesses O2 Group plc from British Telecom as Chief Marketing and Product Officer and member of the Board of Directors, leading to the sale to Telefonica S.A. in 2005 for $35 billion. He spent eight years at Rogers Communications in roles including Chief Operating Officer. He is also the co-founder of US Mobile Virtual Network Operator (MVNO) i-wireless, and currently serves on the boards of some of Canada’s largest and most successful technology companies. Kent holds a Bachelor of Science in Electrical Engineering and an MBA from the University of Western Ontario. And Kent loves to compete – from running a 4-minute mile in his 20’s to being the top Canadian in the world triathlon age-group championships in his 50’s. He’s taken start-ups from initial traction to $1 billion+ exits. And he’s done it by effectively connecting ideas, capital and people, time and again.